Since the time before recorded history, people have harvested fish from mountain streams and rivers. A hundred years or so ago, sport fishers started joining those who practiced the art for subsistence. 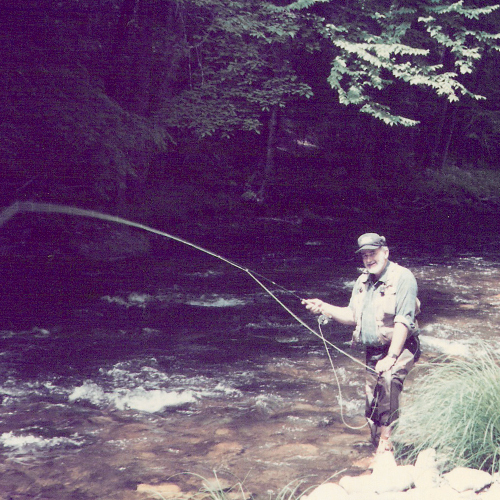 And now, mountain fishing is about to get a big and ongoing recognition at the Fly Fishing Museum of the Southern Appalachians, slated to open in Cherokee in early June. The Fly Fishing Museum will fix the historical deficit, says Baker, now a museum board member. The location, he notes, couldn’t be more ideal: Cherokee is centrally positioned in a hot spot for anglers, and the museum is situated on the banks of the Oconaluftee River, next to the Cherokee Welcome Center. The main exhibits will document the legacy of what Baker calls the “Stream Blazers,” those intrepid guides who popularized fly fishing in the region after World War II. Many of their original rods, reels, and painstakingly tied flies will be on view. The museum, funded by the Cherokee Preservation Foundation and numerous private donors, will also have a rare collection of books on the topic and serve as one of the few places in the South where anglers can gather with a true sense of their shared history.